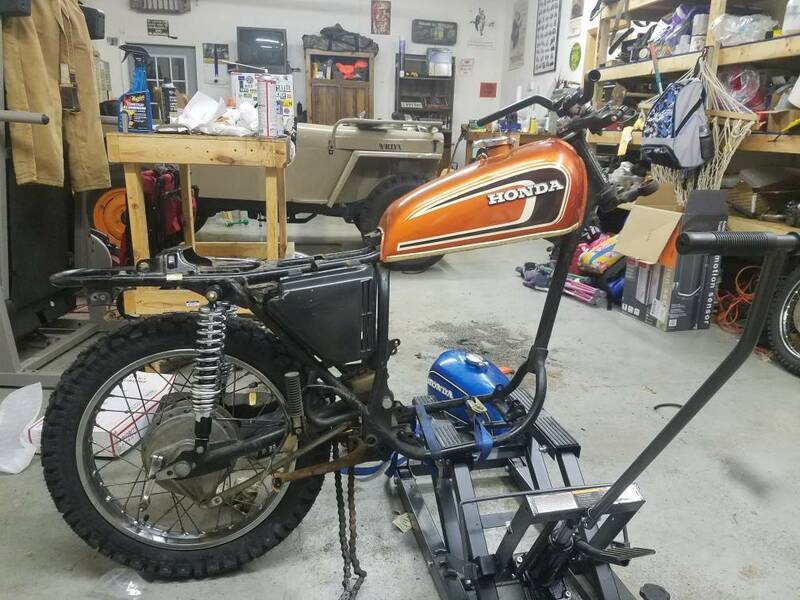 1976 CB360 scrambler/tracker/heck of I know! 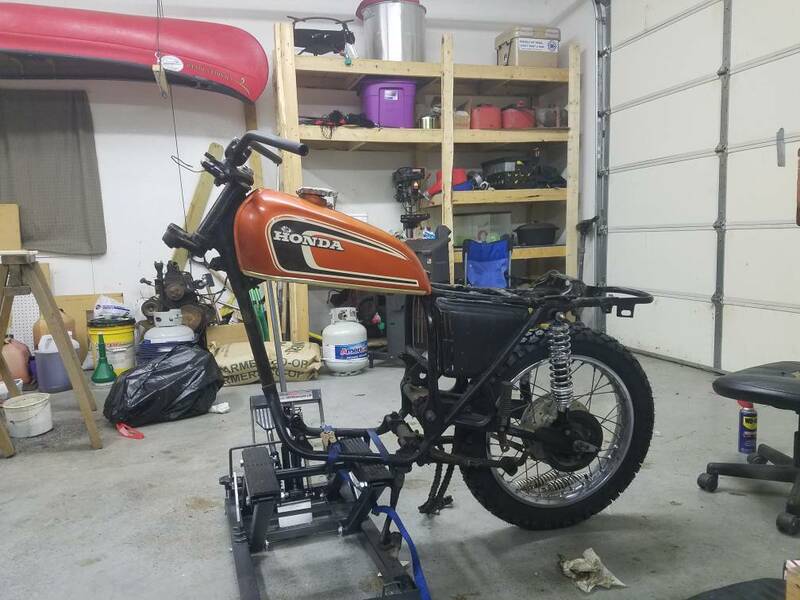 Re: 1976 CB360 scrambler/tracker/heck of I know! Got most everything disassembled. 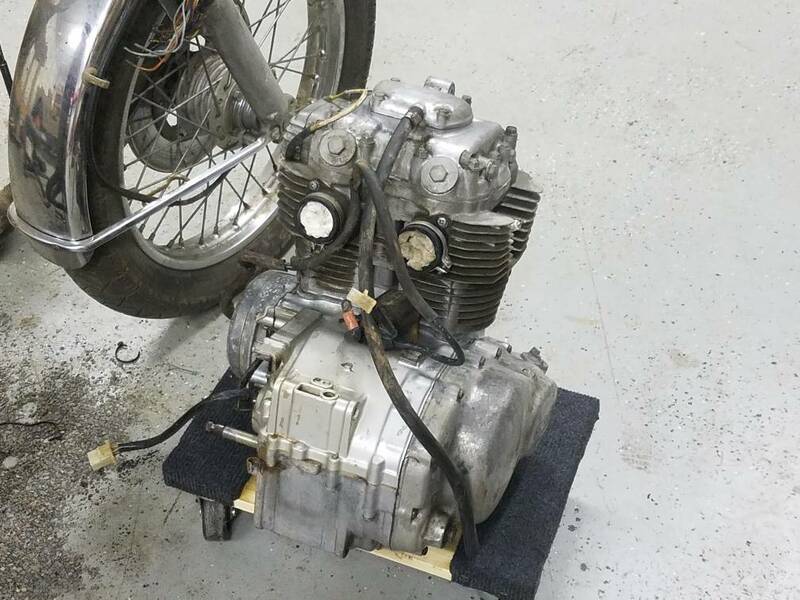 I scrubbed most of the loose dirt and grease from the motor in preparation of splitting the case for the kickstart shaft replacement. I ordered all new bearings for the wheels and bushings for the swingarm. 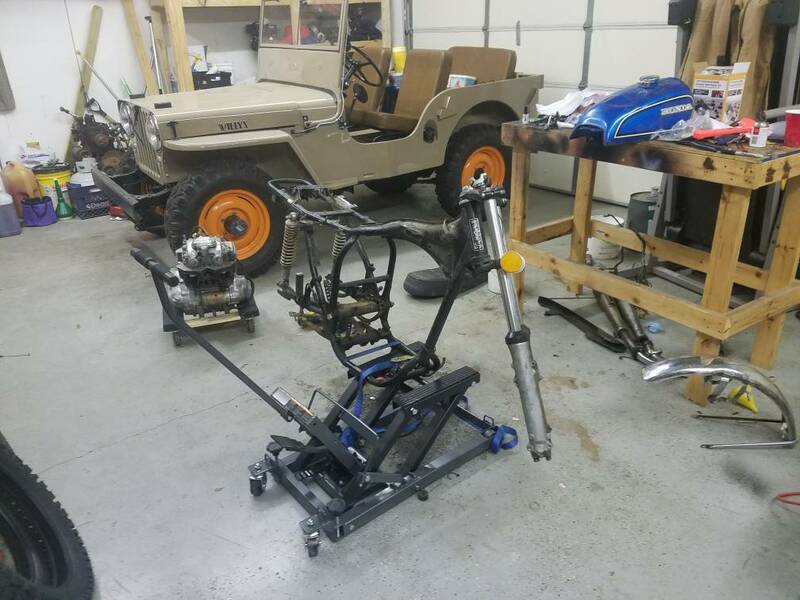 I am going to have the frame and swingarm blasted and either powdercoated or painted. I haven't decided yet. I need to figure out what I'm doing for a seat so I know what to cut off and what to leave. It's nice to have an old machine to work on again. It's been a few years since I finished the jeep. Yep, interested to see what you domwith the 360! Hopefully I'll get the case split this weekend and post some updates. Gotta love NOS parts. 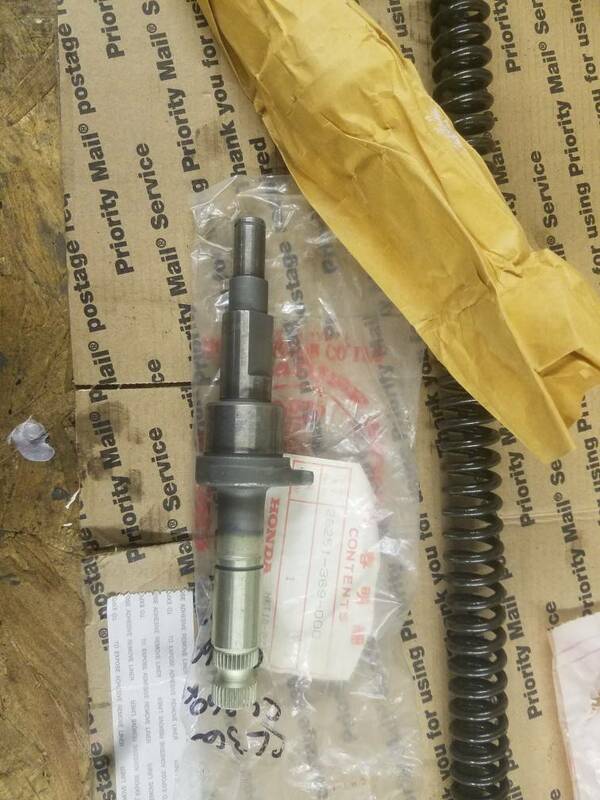 I had to get a new kick start shaft for one of mine, usually the bolt on kickstart comes loose and splines get chewed up but several people have said they have broken kickstart shafts? I think it may be due to 'slap kick' like 360 was a 50cc MX toy instead of keeping foot on kickstart and allowing it to come back up slowly? I got this nice orange tank in today! It has a couple of dents but is much nicer than the one I had. 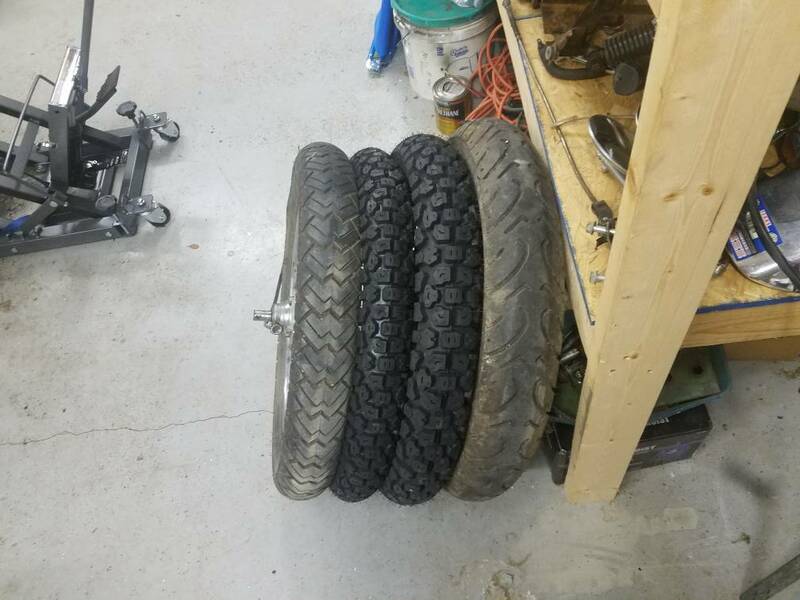 I got my tires mounted up and new shocks installed. 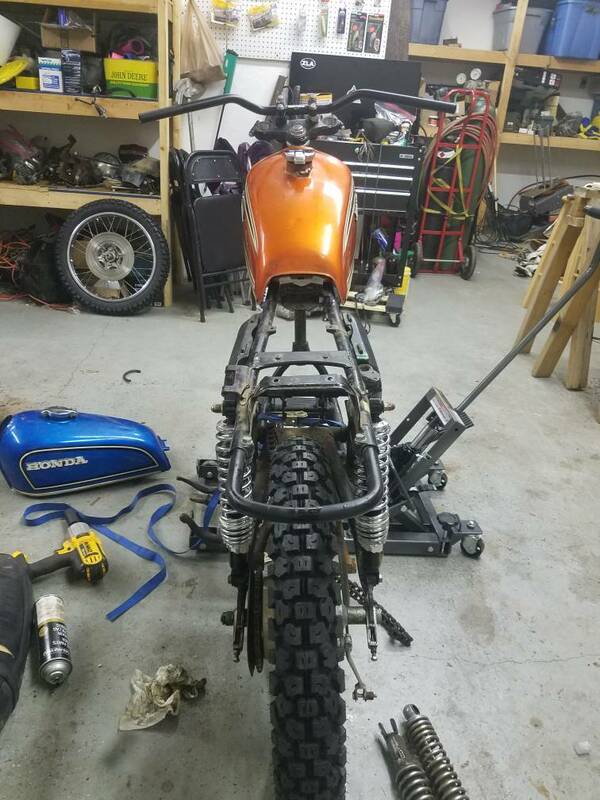 I'm going to wait until my seat comes in before I cut any tabs or make a rear hoop. I ended up ordering the 24.5" low profile seat from Texavina. Should I leave the side covers black or try and have them decently color matched to the tank? 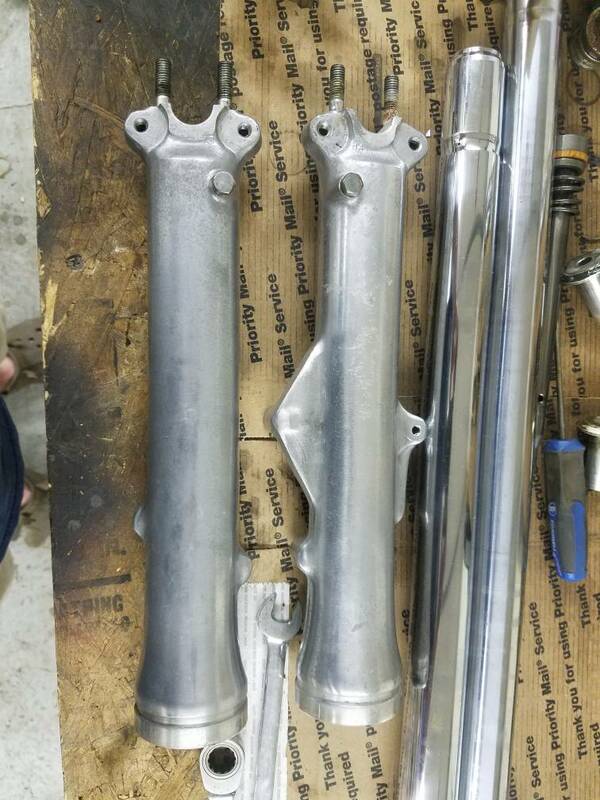 I got all the old yellow clear off of my fork lowers. Polish, paint, or leave as is? 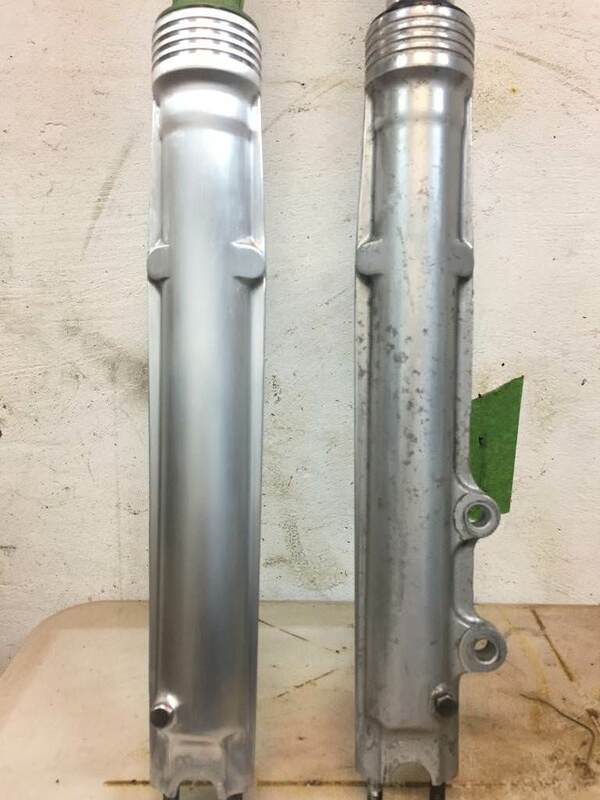 I scotchbtite'd the fork tubes on my CB - it's a great looking "brushed" finish and only needs a going over once or twice a season to keep any oxidization at bay. You could always hit them with a 2K clearcoat as well if you didn't want to keep having to do that. Tube on the right has factory clear and oxidization, on the left it's stripped and scotchbrited. Actually now that I look back on my thread, I sanded them first with 80, 180, 400 grit and then scotchbrited them. After over a year they still look just the same - I just give them a once over with scotchbrite and job's a good'un.